The Community Problem Solvers have been working on a "Bee Nice" project throughout the 2016-2017 school year. With this project the group hopes to help middle and high school students improve their interpersonal and relationship skills as they progress through high school, college and the working world. The group has focused toward preventing bullying and helping students build meaningful personal relationships in their lives. The Community Problem Solvers have been working with Dr. Edie Raether, the author of “STOP Bullying Now.” Dr Raether was born and raised in Algoma, and besides being the author of seven books she is also an international keynote speaker, family therapist and parenting coach, college professor, and talk-show host with ABC. A Change Strategist and international keynote speaker and bestselling author, Edie Raether has integrated over 40 years of experience in human potential development, motivation, and behavioral psychology into a revolutionary character building program, Wings for Wishes. As president of Performance PLUS, a speaking, training, and coaching firm, Edie has empowered over 3,500 professional associations, educational organizations, and Fortune 500 companies on five continents. Edie is an authority on the neuropsychology of achievement and brain-based performance including emotional and multiple intelligence and the concept of all kinds of minds. She draws from a width breath of professional experience including working with Dr. Lauretta Bender of the Bender Gestalt Test at an NYC children’s psychiatric hospital treating all ages from autistic children to behavioral disorders in adolescence. With a strong “wellness” orientation, Edie also worked in pediatrics and physical rehabilitation with children and youth. For 30 years Edie maintained a private practice as a psychotherapist and marriage and family counselor where she worked with a variety of emotional, behavioral, developmental and relationship challenges. She was the human development coordinator for both healthcare and daycare programs at a community college, the instructor of human dynamics, and the director of the Occupational Therapy program. Edie has also hosted and produced talk show programs on radio and TV with ABC. Edie is an expert resource for hundreds of publications such as The Wall Street Journal, USA Today, New York Times, Prevention, Walking, Selling Power, INC magazine and Reuters. 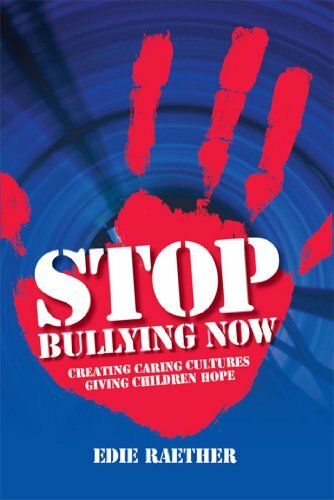 Now translated into numerous languages, her seven internationally acclaimed books include Stop Bullying Now, Winning! How Winners Think - What Champions Do, Why Cats Don’t Bark Unleash Your PowerZone: Intuitive Intelligence - The Other IQ and others. Edie is also a CSP, Certified Speaking Professional, which is the highest-earned designation awarded by the National Speakers Association to fewer than 8% of its membership worldwide.